Babies spend a lot of time sleeping, especially when they are newborns. And as parents, it is our responsibility to make sure that their sleeping environment is safe. 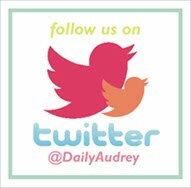 I've personally made sure that our baby's co-sleeper for both Audrey and Natalie have fitted bed covers and there are no pillows present while they are sleeping. We also love swaddling our babies because it makes them sleep better - it's as if they were still in mama's womb. 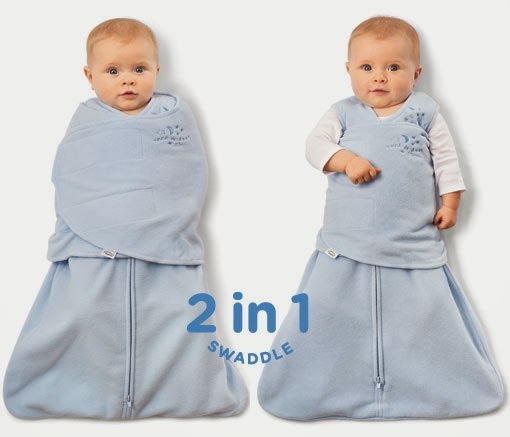 The warmth and snugness of being wrapped around in a swaddle makes them feel secure. 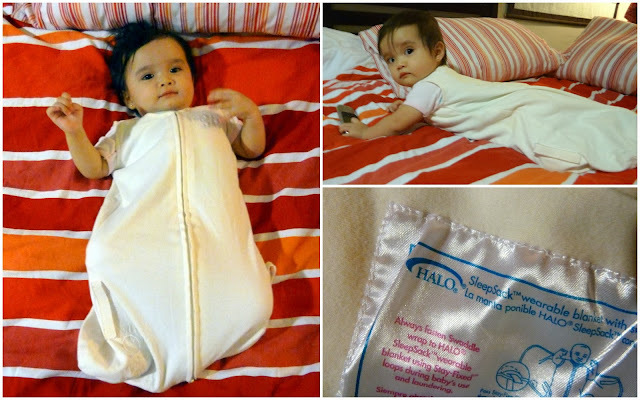 If you are an expectant parent and are looking for a safe and secure way for your baby to sleep, I recommend the Halo SleepSack. 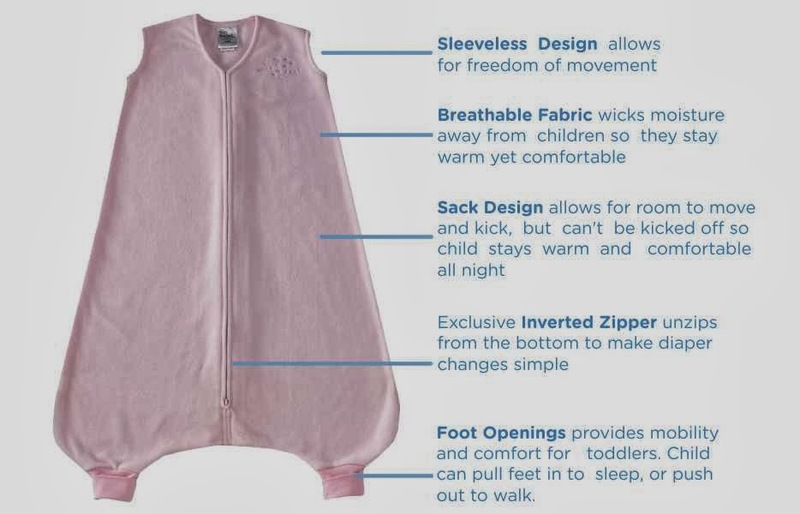 It's a very comfortable wearable blanket for babies and can be worn in two ways - very snug with your baby's arms covered (good while they're asleep) and with arms showing. The Halo SleepSack is very safe and convenient. All you have to do is put baby in and zip her up - and if you've got a really strong and squirmy baby (like Natalie! 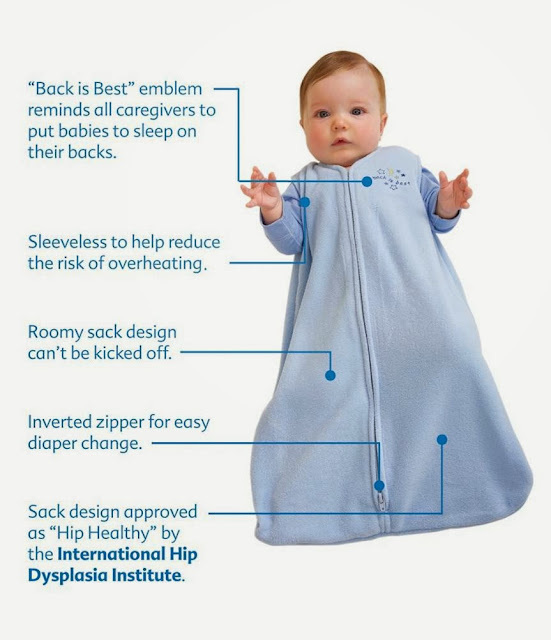 ), it makes swaddling a whole lot easier and quicker :) The inverted zipper also allows easy diaper change so you won't have to take out the whole swaddle even while cleaning baby up. Best of all, you don't have to worry about blankets or loose beddings covering your baby's face or bunching around their mouth that may cause re-breathing of carbon dioxide which both increase the risk of SIDS (Sudden Infant Death Syndrome), which is considered the number one leading cause of death among very healthy infants worldwide. This design is great for toddlers who like to move around and about and walk!